In 2016, Diamond Williams died from complications of an abortion she had at Carolina Center for Women in Charlotte, North Carolina. Now, pro-life group Operation Rescue has obtained twenty incident reports from the Charlotte Fire Department showing that Williams was not the first (or last) woman to suffer from a botched abortion at the facility. According to Operation Rescue, records indicate that in the years 2003, 2006, 2007, and 2009, Carolina Center for Women, which now operates under the name A Woman’s Choice of Charlotte, had just one emergency call per year. However, in 2011 and 2012, that number tripled to three emergency calls per year. Then in 2017, there were five emergency calls made. The call regarding Williams is not included in the newly obtained incident reports because it was made by her family at home. Fifteen of the incidences in the reports indicate that emergency medical services (EMS) were given to women. In five others, emergency units were sent to A Woman’s Choice, but were cancelled by the abortion facility. The discovery of these emergency reports proves that abortion is not safe like the abortion industry would have women believe. 18-year-old Williams suffered from diabetes mellitus, a condition that affects the way the body metabolizes sugars and carbohydrates. This made Williams a high-risk patient with an increased risk of complications from abortion. She went to Carolina Center for Women for a six-week (first trimester) surgical abortion. She arrived at the facility on the morning of her abortion with her mother. But hours went by and the facility staff began to turn off lights at the end of the day with Williams’ mother still uncertain about the whereabouts and safety of her daughter. After banging on the reception area window to get attention, Williams was discharged to her mother. That night she called the facility to say that Williams was in pain, but was told that pain was normal. Two days after the abortion, Williams’ mother called the facility again hoping they would see her daughter for follow-up care, but no one returned her call. The next evening, Williams suffered what appeared to be a seizure. She was taken to the hospital, where she died – four days after her abortion. Not only is it troubling to know that so many women have suffered from botched abortions at this one facility over the years, but these women are just a small percentage of the women who are being injured at abortion facilities around the country. 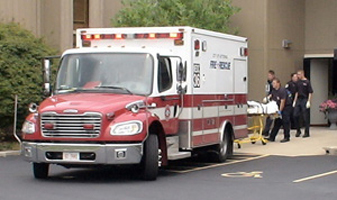 These emergencies go overlooked, as they may occur outside of the facility as Williams’ did.